The Independent Election Commission of Afghanistan (IEC) on Thursday clarified that it has counted both biometric and non-biometric votes as valid while declaring the winners and losers of the October 20 parliamentary elections. 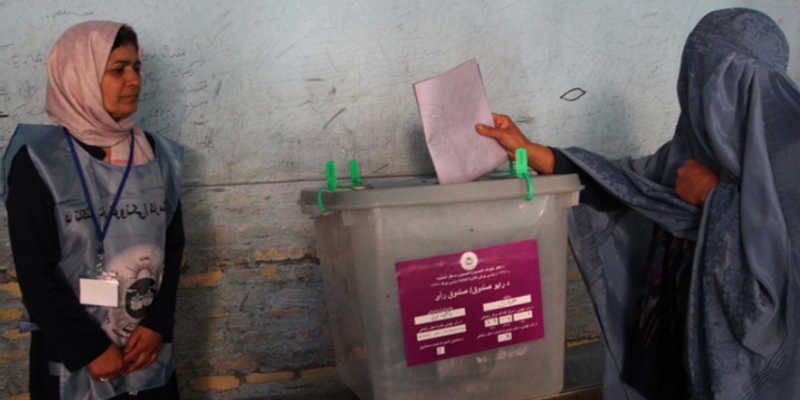 “Voters list was the base, anyone who participated in the voter registration process whether their votes were biometric or without biometric, but their names were present on the list, their votes have been counted,” said Sayed Zabiullah Sadat, deputy spokesman for IEC. “Statistics and the reports which we have received from the provinces indicate that in some provinces, biometric was the base and in some provinces voter lists was the base while in some provinces contents inside the ballot boxes were the base and there was not a specific standard for recounting of the votes and there was multiplicity in the recounting of votes in the provinces,” as told by Mohammad Omid Nawrozi, member of Transparent Election Foundation of Afghanistan. Monitoring organisations believe that by counting all votes, IEC is violating its own laws and rules. This comes after many political parties claim a lack of transparency in announcement of the preliminary election results. As of now, the IEC has announced the preliminary results of 13 provinces. The political parties argue that the results of votes in localities and provinces where biometric and non-biometric votes were blended will not be acceptable to them and it is unfair.